Often times due to age or obsolescence, there may not be readily available information on a machine part that needs to be replaced due to wearing or breakage. Or, the part may no longer be manufactured, serviced or stocked by the original OEM or by parts or service vendors. When you need to replace a machine part, but don’t have the specs or a replacement readily available, Enterprise Tool and Design can thoroughly analyze and reconstruct the part design to provide you with the reverse-engineered part information. If needed, we can then reconstruct the part to a 3D prototype for reproduction, produce a functional replica, or do a short manufacturing run of the part to quickly meet your needs. Our manufacturing expertise is focused on high-precision, highly technical, low volume production runs. At Enterprise, we know time is money. We can help you minimize the costly affects and liability of your machine down-time with our top-quality and affordable reverse engineering and modeling services. 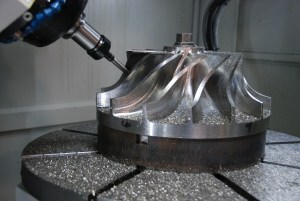 We have over 35 years of knowledge and experience in high-quality parts replication. Put our expertise to work for you today! Give Us a Call 262-679-8665 at or Contact Us Here.